A BRITISH drugs kingpin who built a €1.4 million Costa del Sol mansion has been jailed for 32 years. James Mulvey ‘lived like a ghost’ for seven years after he fled the UK over his role in a €77 million smuggling ring. The 42-year-old from Solihull in the West Midlands used fake names and remained on the move, checking into hotels and paying in cash, sometimes via third parties. He also used mobile phones dubbed ‘burners,’ which he quickly dumped to avoid being traced. Birmingham Crown Court heard how the haulage boss lived a lavish lifestyle, raking in up to €85,000 per week and constructing a villa in Marbella with indoor and outdoor swimming pools plus a cinema. The father-of-five drove luxury cars including Land Rovers and Mercedes and wore Rolex watches while living in five-star hotels, also living in Brazil, Portugal and the Netherlands. 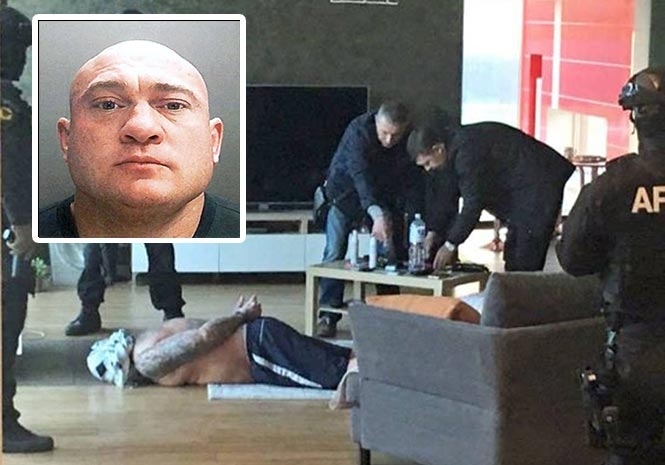 But the “untouchable” crime lord was eventually tracked down after a covert surveillance operation saw armed police raid his hideout in Lithuania last year. He was cuffed in his underpants at gunpoint and extradited to the UK, and has now been convicted of four conspiracy charges after acting as the “linchpin” of the international plot. Prosecutors added that Mulvey developed a €1,100 per week cocaine habit and set up bogus haulage businesses to import “industrial scale” quantities of drugs from Europe to Britain and Ireland in 2006 and 2007. He fled to Spain when 22kg of cocaine and 392kg of cannabis hidden in metal rollers and worth an estimated €45 million was intercepted in Belgium 11 years ago. But his children continued to attend private schools in Worcestershire and Somerset. Judge Mark Wall QC said a probe had revealed 14 previous trips connected to his cabal, during which it is believed that up to 5.5 tonnes of cannabis and 300kg of cocaine entered the UK. He later transported the narcotics in mini Harley Davidson motorcycles and inflatable sea scooters. Addressing Mulvey he said: “I treat it as a representative load for the purposes of estimating the total quantity of drugs traded as a result of this conspiracy. The accused smiled at family members as the verdict was read out, as the judge continued: “You were involved in the large-scale importation of these drugs into this country from continental Europe and its onward transportation to Ireland where doubtless it was to be sold at a great profit. “You gave evidence that you yourself have taken cocaine for many years. The National Crime Agency (NCA) said in a statement released in the wake of Mulvey’s arrest that he was traced despite changing his mobile phone on a daily basis and using unregistered SIM cards. Investigators also obtained recordings of him speaking about the murder of his Irish cousin Gerard ‘Hatchet’ Kavanagh, who was in 2014 shot dead on the Costa Del Sol. After the 10-week trial, NCA regional head Andy Quinn said: “Mr Mulvey would classify himself as an iconic, untouchable criminal. 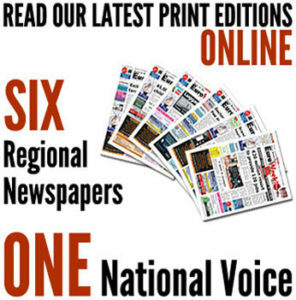 “The NCA and its partners have today proven that isn’t the case. “He obviously fled overseas following the conviction of his criminal associates and again probably thought that out-of-sight, out-of-mind for five years that the NCA would give up. Five accomplices were in 2009 jailed for a total of 86 years in 2009 for their parts in the plot, including lorry driver Geoffrey Edwards and transport manager Barry Phipps, Mulvey’s right hand man.